This is the astrological chart drawn for the close of polling for the Scottish independence referendum, on 18 September 2014, at 10 pm. 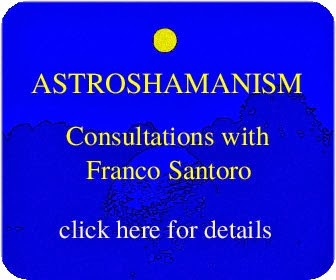 Astroshamanic guidance: "Align with your highest truth in any viable form, and the whole physical universe will be at your service, wherever you are, security and protection are guaranteed." 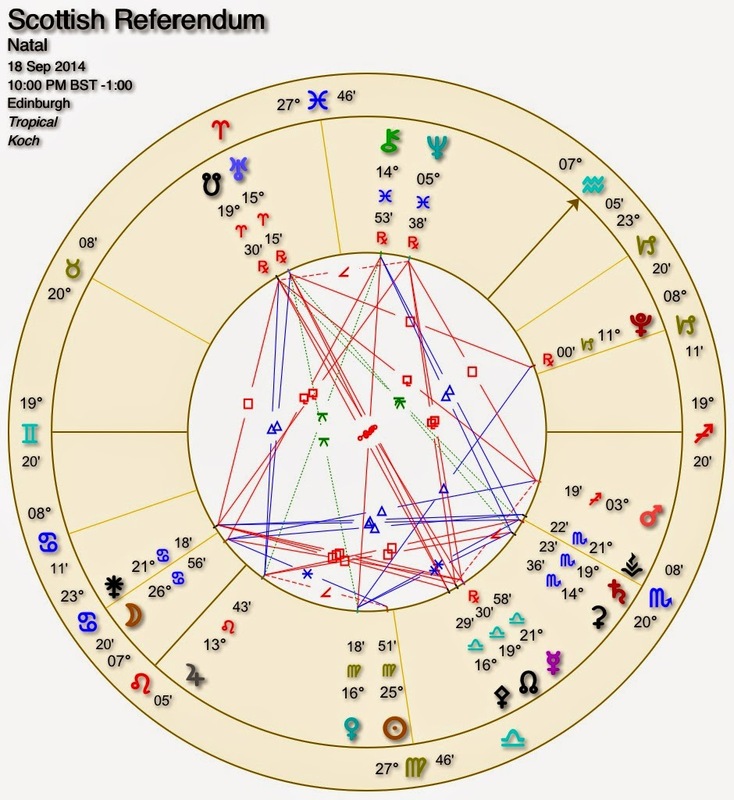 The Sun is in Virgo in the 4th House, the Moon in Cancer in the 3rd House, and the Ascendant in Gemini. There is a strong emphasis on Mercury, ruler of Gemini (sign of the Ascendant), and Virgo (Sun’ position). Information, communication and propaganda are decisive elements here. Mercury in Libra offers an attitude of prudent discernment, balance and diplomacy, also indecision, hesitancy and compromise. The way both sides make their final pitches to voters is vital. The Moon in Cancer in 3rd House squaring Mercury, is a major emotional load, a boost on ancestral feelings of belonging and patriotism, stressing need for security and protection. Fears and strong emotions are likely to prevail over idealistic and logical considerations. Pent-up feelings have a strong impact on communication and the outcome itself. Here it can be vital to express them in luminous and uplifting ways, hopefully surrendering to the highest good. The Sun in Virgo/4th House, close to cusp of 5th House, again stresses family, tribal and ancestral roots, an attitude of service and commitment in this realm, a tendency to hide, be in the background and dependent, mixed with an emerging drive for autonomy and self-assessment. This drive is enhanced by Jupiter in Leo/4th House, providing enthusiasm, generosity and a sincere quest for the truth. Jupiter trine Uranus in Aries/11nth House promotes openness towards radical changes and alternative configurations, also stressing unpredictable developments. This may help both sides as long as they come from a spirit of authentic renewal and not from grievances related to the past. Saturn in Scorpio/5th House close to cusp of 6th House: hidden agenda, intrigue and purely pragmatic considerations could play a crucial role. The Ascendant in Gemini fills the referendum with copious curiosity and a climax of information and networking. Here the communication factor is vital, together with the need to express honourably and with integrity. "Align with your highest truth in any viable form, and the whole physical universe will be at your service, wherever you are security and protection are guaranteed."